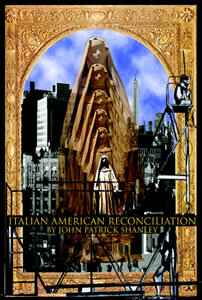 By Academy Award winner John Patrick Shanley. The story of three broken hearts, two best friends, and one dead dog. Aldo Scalicki helps his best friend Huey regain his lost strength by getting back together with his terrifying ex-wife. Shots are fired and promises broken in this heart-breaking and heart-mending comedy. Cast: Eric Sutton, Suzanne Richard, Peter Makrauer, Caroline Kellogg, and Michole Biancosino.